Providing a complete cargo air freight service to any worldwide destination. Since 1991, Megatop Cargo has been dedicated in providing quality and first class Freight service to international students. Megatop Cargo is IATA accredited and member of the WBN (World Baggage Network) so you have the comfort of knowing you are dealing with a reputable company well versed in all facets of international cargo handling. You can be assured of receiving the best price GUARANTEED without compromising the high level of service we provide to all our customers. Remember that Megatop Cargo offers more than 50% off the airline excess baggage rates so book early and take advantage of our DISCOUNTED rates. BOOK NOW FOR SPECIALS TO THE UK, FRANCE, MALAYSIA, SINGAPORE, SOUTH EAST ASIA, MIDDLE EAST AND NORTH AMERICA. SAVE UP TO 50% TO ALL DESTINATIONS. AIR AND SEA FREGIHT SERVICE AVAILABLE. Megatop Cargo is offering discounted rates to all major overseas destinations throughout Europe, South East Asia and North America. Massive discounts on excess baggage to LONDON and PARIS airports now apply so please take advantage of these specials. 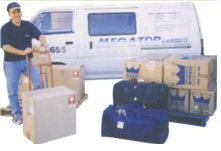 Megatop Cargo can offer a door to door service (which means you have the comfort of knowing your precious personal belongings will arrive to your home safe and sound) or for more thrifty travellers, a door to airport service is also available whereby you can collect your cargo at the airport. Our qualified team of professional staff can assist you with any questions or enquiries you may have. Call now and we will take the worries away. Book early with Megatop and save. Ask our friendly staff for further promotions or specials such as free pick up (conditons apply), student discounts and free boxes. We are always looking to make your move easy and stress free at the most economical price GUARANTEED. Please feel free to contact our fully trained staff for more information regarding our air and seafreight service. SAFE and SECURE cargo handling anywhere to the world with security packing provided and on time pick up everytime. Tips when exporting personal belongings. LABELS: Cartons must be MARKED in English with your name, overseas address and telephone number. The address on the boxes/luggage must be the same as shown on all the documentation. 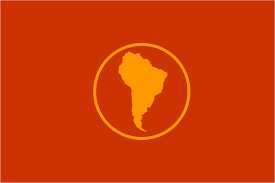 PACKAGE LIST: A packing list is required for exporting your goods. These forms are available on our website or can be emailed to you by our export staff upon request. PACKING: Your goods must be packed in suitable strong cardboard boxes. Plastic bags are NOT accepted by the airlines. Allow enough time prior to your departure to make a booking, generally 48 hours is sufficient time to complete all export handling, documentation and procedures. FRAGILE: Fragile Items must be marked accordingly. Megatop Cargo international freight forwarding can provide fragile labels for your Unaccompanied luggage, so please advise at the time of booking if you require these labels. WEIGHT: Each box/suitcase must not weigh more than 30kgs. RECEIVING: Your Unaccompanied Baggage/luggage will be held at the International cargo facility at your destination NOT at the international passenger terminal. CLEARANCE: Your unaccompanied luggage will remain under customs control until you or a Megatop Cargo Customs Clearance agents clear it through customs at destination. AVAILABILITY: After your goods arrive it can take up to 48 hours before Unaccompanied Baggage/luggage is checked in and made available for customs inspection. Airline charges also apply. For seafreight cargo allow 3 to 5 working days after arrival for goods to become available for customs clearance purposes. REQUIREMENTS: A copy of your passport will be required at time of pick-up as well as suitable ID such as drivers licence or student ID card. DANGEROUS GOODS: dangerous goods cannot be packed in your Excess baggage/unaccompanied baggage. Items include Alcohol, perfumes, nail polish, batteries etc. Please consult Megatop Cargo staff for more information regarding hazardous cargo. COSTINGS: Your cargo will be picked up and brought back to Megatop Cargo warehouse at St Peters, Sydney and you will be notified of the weight and total costs immediately. 1 - Find your country and city of destination as listed. 2 - Complete the Megatop Cargo international freight forwarding booking form (Shippers letter of instruction and packing list) when you have packed your items. 3 - Label each box/Unaccompanied Baggage with your name and overseas address and telephone number. 4 - Complete a packing list and dangerous shipping goods declaration form. 7 - The boxes will be brought back to Megatop Cargo at St Peters warehouse to check the weight. 8 - Once the weight is determined, we will call or email you immediately confirming the total costs.Payment options include BPay, cash or credit card. 10 - You will also be given the details for the Megatop Cargo representative office in your country of destination for further information regarding clearance and delivery to your home. 11 - A copy of the airwaybill and/or Bill Of Lading together with the receipt of payment will be forwarded to you by fax or email once the cargo has been booked on a flight/vessel departing Australia. 12 - Megatop Cargo recommends that sea freight shipments should be loaded and wrapped on a pallet for convenience and security purposes. An additonal fee of $44.00 per pallet (includes GST) is applicable but it is peace of mind and minimises the risk of damage to your fragile shipping goods. IMPORTANT NOTE.....PLEASE ENSURE NO DANGEROUS GOODS ARE PACKED IN YOUR OR CARGO BOXES SUCH AS ALCOHOL, PERFUMES AND NAIL POLISH. PLEASE CONSULT MEGATOP STAFF FOR MORE INFORMATION REGARDING HAZARDOUS CARGO. FORMS CAN BE DOWNLOADED FROM OUR WEBSITE. 1. WHAT IS UNACCOMPANIED BAGGAGE? All airlines have strict limits on the amount of free baggage which may accompany a passenger on their flights. This allowance is dependant on the class travelled however, it is normally 20kg. Excess baggage charges imposed by the airlines are expensive and are based on 1% of the first class airfare to your destination. Megatop Cargo can save you money by sending your excess as unaccompanied baggage. 2. 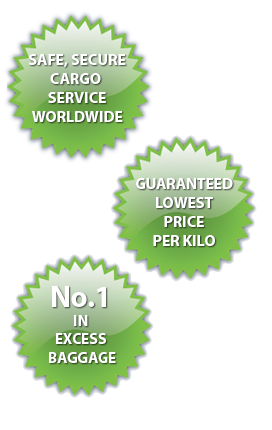 WHY CHOOSE MEGATOP CARGO PTY LTD? At Megatop Cargo we understand your individual needs and concerns. With over 21 years of experience in handling Excess Baggage, we understand your requirements and focus on the best solution to suit your international freight needs. As an IATA Accredited Agent, we offer the best rates per kilo and guarantee to maintain a high level of service at all times. 3. WILL I HAVE TO PAY DUTIES OR TAXES AT THE OTHER END? As a general rule, most countries allow their returned residents duty free concessions on their USED personal effects which they have owned for more than one year. If in doubt, you should contact your local consular representative. 4. HOW DO I AVOID DESTINATION STORAGE FEES? At Megatop Cargo we acknowledge that you may wish to travel before returning to your home. If this is the case, just let us know how long you wish us to hold your things at our depot. We can then send your goods to arrive around the same time that you do! The first week of storage is free and thereafter we charge a small storage fee per week. Customs in most countries require the owner of the goods to be present when the goods arrive at destination. 5. HOW LONG DOES IT TAKE FOR MY FREIGHT TO ARRIVE? For airfreight, the goods need to be security screened and held for one week (This is a requirement by the Dept of Transport Canberra). After the 7 days expires, we will arrange for the luggage to uplift on the first available flight to your overseas nominated destination. The transit time for travel by air is 2-3 days. For goods sent by sea freight, allow approximately 21 days to S.E. Asia, 40-45 days to Europe, 35-38 days to Canada & USA and 8-10 days to New Zealand. However, at time of booking, our friendly staff will provide you with a more accurate transit time. 6. ARE MY GOODS COVERED BY INSURANCE? 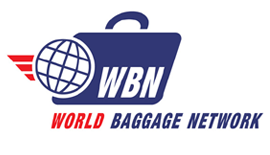 Unaccompanied Baggage by air is insured by International Airlines for loss or visible damage on an airport to airport basis for a compensation of approx Australian Dollar $35.00 per kilo. Claims must be made and reported at the airport before taking delivery. Please ensure you notify the airline and/or agent in the airport of destination prior to receiving your goods if there is visible damage or cargo missing. Sea freight is not covered by Insurance. For both air and sea freight, we recommend that you consider Marine Transit Insurance. Megatop is an Authorised Distributor for Midas Insurance underwritten by Associated Marine Insurance Limited. For more details regarding insurance, please mention to our staff at time of booking and they will be only too glad to assist. 7. DOES MEGATOP HANDLE SEA FREIGHT? 8. ARE THERE ANY THINGS I CAN'T PACK? WHAT ARE DANGEROUS GOODS? There are a number of products and substances which are potentially dangerous, such as, FLAMMABLE LIQUIDS, MATCHES, LIGHTERS, PERFUMES, FIREWORKS, AEROSOLS, and MUST NOT be included. This is not a complete list of hazardous materials. As part of our procedure we require you to declare your shipment free of any dangerous goods. It is an offense to carry dangerous goods aboard an aircraft. For seafreight consignments, you are allowed to pack perfumes and aerosols because it is not as dangerous via sea. 9. HOW CAN I HELP MY GOODS TO NOT GET LOST? It is most important that all your cartons, suitcases and bags are properly labelled inside and out with your full name and destination address. Should any of the boxes or luggage be separated, it can easily be identified and directed to your overseas destination. 10. WHAT HAPPENS TO MY GOODS AT THEIR DESTINATION? Once your cargo arrives, you will be contacted immediately by the airlines, forwarder or shipping line. 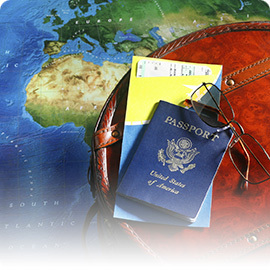 Most airlines, shipping lines or agents apply handling fees in the country of destination. The receiver may then collect the goods from the cargo terminal after Customs Clearance and all local requirements have been completed. Goods must be collected within approximately 2-3 days upon arrival before storage fees apply. Ask Megatop Cargo about alternative storage if no one can collect your freight within the designated free storage holding period. 11. HOW DO I MAKE A BOOKING WITH MEGATOP? A booking is as simple as a phone call or an e-mail. Any additional questions or queries you may have will be answered immediately by our experienced team. Once a booking has been arranged, it is up to you to pack your things in either Megatop cartons or your choice of any strong cartons you have access to. Suitcases are also acceptable. Don't forget to clearly label each piece of your shipment with your receiver's name and address. Limit approx. 25-30kg per piece to allow manual lifting. Call us to take advantage of our free pick-up available on selected days. Our helpful drivers will come to your door and collect your belongings hassle free. You also have the option of bringing your freight to our depot in St Peters, Sydney. Malaysia students do not have to complete a customs duty and sales tax declartion from for their personal effects. Common law in Malaysia already provides the provion of used personal effects without duty and taxes. You can always seek advise from your consular representative in Australia to clarify if some items pay duties or taxes. Singaporean Students: please complete the linked form and hand it to our representative when the goods are collected. Shipments below AUD$350.00 are free of GST in Singapore. We have been advised by our agent in Singapore that VCD, DVD, music CD and all kinds of CD's are "contgrol items" in Singapore. So do not ship these at all as penalities will apply. As for wines/liqueurs, these are also a "control items" in Singapore. If you wish to take back any of these items then these have to be hand carried only. Each sutdent is allowed only one bottle ( less than 2 litres). For option (2) please download Form C3 and hand over to Megatop Cargo on collection of the goods with a packing list. Contact us for a QUOTE. Above rates applicable to seafreight only. Minimums apply to both air and seafreight bookings. Local handling and pick up charges additional. Megatop international freight forwarding service does not include any charges in the country of destination including duties and taxes if applicable. Megatop Cargo can assist with insurance cover if requested through our preferred insurance broker "Midas Insurance Brokers Pty Ltd".